Keefer brings over iced coffee around noon. 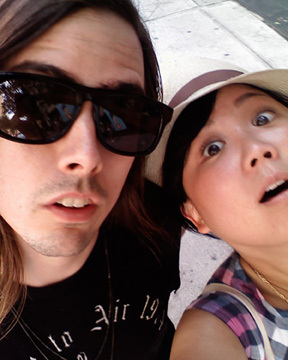 After a couple sips and a quick chat, we walk across the bridge and grab some cheap sushi in the East Village. After lunch, Keefer wisely suggests (is it just me, but don’t you crave something sweet after salty Asian food?) some fro yo. A pretty cool idea: you pick a flavor of choice, add your favorite toppings, weigh and pay, and you’re good to go. I picked the classic “Eurotart” with fresh strawberries. Perfection. Then it’s off to Odin to scoop up the last Rag & Bone waxed canvas messenger in olive…which I love love love. I’m going to wear it to death this fall and winter. We cab it back to Williamsburg, and can’t find anything fun to do. We’re completely stumped. But while rambling around the neighborhood streets, we stumble a park along the water…with the best view of Manhattan. It’s the perfect place to lay out, read, picnic, and people-watch. Keefer and I pick a bench and soak in the scenery. Our next Terrible Tuesday is already planned; picnic in the park (weather permitting, of course)! We’re getting hungry again so we dine sidewalk-style at Zipe Zape. And everything is just perfect: from the sangria to the croquetas to the baked oysters with aioli. Definitely worth a repeat visit very soon. Then it’s off to Marlow for some bubbles and the chocolate caramel tart. Belly all full and we don’t care! After all the good food and drink, we decide not to “chase the night” (a Keefer original). I go home, listen to Obama, and get a blissful night’s rest. The end. As you know, I preach about protecting your skin from the sun. And while the debate continues (chemical vs physical sunblocks), I champion the physical kind. There are two types of physical sunblocks: zinc oxide and titanium dioxide. 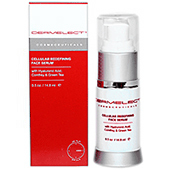 Both provide broad-spectrum UVA and UVB protection, and are perfect for daily use. And because these utilize physical blocking agents (as opposed to chemicals), physical sunblocks are particularly suitable for sensitive skin. Never understood why sunblocks of yore left your skin feeling slick, greasy and downright gross? Now you know. Now before you scamper off to your last summer hurrah this holiday weekend, please protect your skin. You’ve got one face and one body, so treat them right. My favorite sunscreens are from Menscience and Brave Soldier. I love MenScience Androceuticals TiO2 Sunblock for my face, and Brave Soldier Solar Shield for my body (awesome on the face too, for drier skin types). 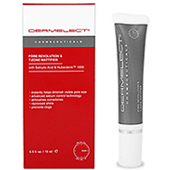 Both provide a super-matte, replenishing and protective finish. These two blocks do it all. 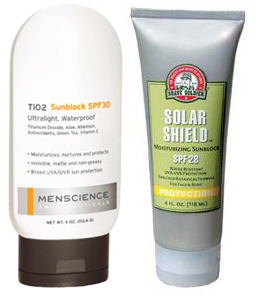 To purchase MenScience Androceuticals TiO2 Sunblock, click here. To purchase Brave Soldier Solar Shield, click here. As most of you know, blush is the one cosmetic item I can’t live without. Why? Because simply, blush does all the right things for your face. It instantly makes you look brighter, happier, younger, and more alluring. 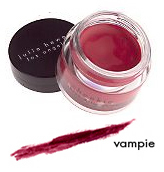 And while I have a stack of blushers in the ol’ medicine cabinet, my absolute favorite is Julie Hewett’s “Vampie” Cheekie. This chunky pot of pure genius flushes my cheeks and lips flawlessly. A couple dabs on the cheeks effortlessly gives me the glow that results from all the best things in life: a great round of tennis, too many tequila shots, belly-aching laughs with friends, and an unexpected kiss that leaves me breathless. So come get your glow on, girl. You’ll be glad you did. To purchase the “Vampie” Cheekie from Julie Hewett, click here. Text Keefer around 11:30. He brings over iced coffee and poses like Rick Owens. Is he or isn't she? I'm confused. It’s a beautiful day (really, truly, deeply), so we walk over the Williamsburg Bridge and mosey on over to Momofuku for some killer wings and slurp-worthy (but super-salty) bowls of ramen. While the food was awesome, the highlight was seeing David Chang. A late lunch on a Tuesday…and David Chang is working his magic in the kitchen, entertaining a group of big wigs. He can clearly cook, but has a big head like me. Guess it’s a Korean thing. Keefer and I had no stinkin’ clue as to who these people were. They were clearly important, so we’ll leave it at that. Oh yeah, Joel Stein was also there with his very pretty wife. Our fingers smell like david chang. 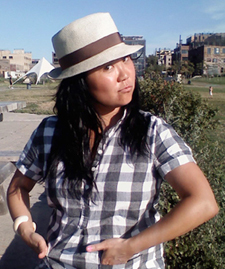 Head over to the “park” at Union Square for a little people-watching. The scene is lame (we can’t even play a decent round of “fighter”), so we train back to the burg. Grab some cupcakes at Cheeks for a little sugar rush and scoot on over to Huckleberry for a little 2-for-1 action: Campari & Soda. Lots of them. Then it’s off to Bonita for some corn and tacos. And sangria. And then we’re off to Dressler for a little nightcap action. Tequila. The end. Terrible Tuesdays, Parts I and II. Joseph and I both happen to have Tuesdays off from work, so we’ve been hanging and seeing where the city (or the burg) takes us. I mentioned that I’d be adding a more personal touch during the relaunch of this blog, so I hope you don’t mind getting a tiny peek into my personal life. 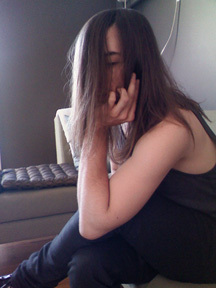 First Tuesday (7/29): Hungover, as usual. Settling into another day of couch-surfing. Keefer texts. In atypical fashion, I’m actually feeling motivated to hustle out of the apartment. And again in atypical fashion, I want to shop. Scoop up a pair of sensible sandals and 2 functional 1/2 price frocks. We continue to roam about Williamsburg, until we end up at Cheeks Bakery for a much-needed afternoon sugar fix: cupcakes and seltzer. Then it’s off to Huckleberry to squeeze in a couple happy hour 2-for-1 drinks. Everything’s hunky-dory until I ask for the check and the male bartender slides in,”Thanks, girls.” That’s right. GIRLS. Maybe you had to be there, but I haven’t laughed that hard for…seriously? A month, perhaps? And I’m always laughing about something, if not everything. 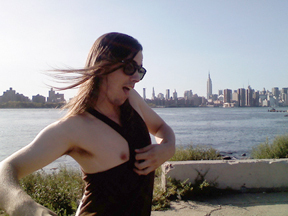 Please refer to the pic below on what might have led to the bartender’s careless oversight regarding Keefer’s gender. He does have such pretty silky locks, no? We roll on over to Lazy Catfish. The free PBR from 8-10pm isn’t quite my scene, so Squiggles Murphy comes to my rescue. The two if us enjoy a quiet dinner at Oak Cafe (ribs were off the hook) and nightcap. The end. Second Tuesday (8/5): Wake up surprisingly alert. Keefer and I decide to walk over the bridge and head to the East Village for some cheap sushi. The day’s hotter than hell, but the cheap sushi more than makes up for the sweaty trek. We stop in Odin, say hello…and stroll over to NoLita for some quiet window-shopping and people-watching. Cab it back to the burg and pick up some coffee gelato and settle in for some much-needed air conditioning and the last episode of “People’s Court.” Keefer runs off to a magazine party and I head out to dinner in the city. The end. Doesn’t Keefer bear an uncanny resemblance to a younger version of Dave Grohl? As you can see, these past two Tuesdays have been far from terrible. But naming this new tradition “Terrific Tuesdays!! !” makes me gag. 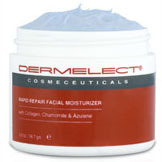 Next time your skin’s looking beat, try Dermelect’s Signature Replenishment Facial. Whether you’re prepping for a hot date, or need to relax after a long day of work, treat yourself to this simple, yet highly effective, at-home facial. Beauty begins with great skin – skin that glows. This signature regimen starts with the basics to let you realize immediate improvement in your skin texture. This synergistic blend of Corundum Crystals, Hyaluronic Acid, Chamomile and Salicylic Acid will deliver beautiful results…fast. PREPARATIONS: Set the mood by developing a sense of luxury and serenity for yourself and your surroundings. Close the door, and leave the outside world…outside. This is your time. Shut off your phone, turn on your favorite relaxing tunes (lately it’s Tony Desare and classic American standards), prop a couple pillows under your head, have a pitcher of citrus water (or a scotch on the rocks) and some soft towels available. Step 1: DETOXIFYING OXYGEN (O2) FACIAL COMMISSION: The effectiveness of your entire skincare regime rests on cleansing correctly. Get your hair off of your face with a headband. Layer a generous amount evenly over damp face and throat. Allow oxidation to foam into a luxurious masque. Leave on for a couple of minutes allowing product to draw out impurities and hydrate skin. Rinse well with lukewarm water. Step 2: MICRODERMABRASION 2-3 FACIAL REVEAL: Gently massage to cleansed, damp skin, in a circular motion, a nickel-sized amount of cream for 2-3 minutes. Leave on for 2-3 minutes and rinse with lukewarm water. Step 3: CELLULAR REDEFINING FACE SERUM: Hyaluronic Acid, Tea Tree and Comfrey, Vitamin E, Jojoba Oil, Safflower and Chamomile combine to hydrate- use a couple of drop on cheeks, forehead, chin, & throat. Step 4: RAPID REPAIR FACIAL MOISTURIZER: Apply a thin a thin layer to face and throat after cleansing in the morning and evenings. Step 5: LINE CORRECTION EYE GEL: Keep the jar in the refrigerator- realize the added cooling effect as it conforms to the gel. Gently circle the gel around the eye area with a light tapping motion. Allow the droplets to absorb. Apply daily to and around the eye area. Step 6: PORE REVOLUTION & T-ZONE MATTIFIER: Apply a thin layer as needed to a freshly cleansed face to curb surface skin oils of the nose, chin and forehead. Works to mattify, repress shine and prevent clogs. 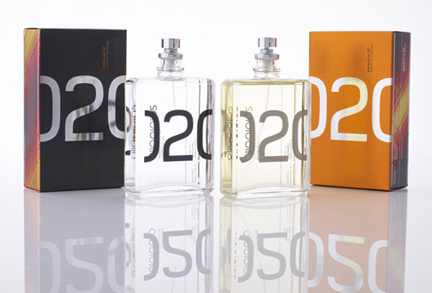 You are currently browsing the miomia's musings : miomia apothecary blog | shopmiomia.com blog archives for August, 2008.